Bacteriophages are found wherever microbial life is present and play a significant role in aquatic ecosystems. They mediate microbial abundance, production, respiration, diversity, genetic transfer, nutrient cycling and particle size distribution. Most studies of bacteriophage ecology have been undertaken at temperate latitudes. Data on bacteriophages in polar inland waters are scant but the indications are that they play an active and dynamic role in these microbially dominated polar ecosystems. This review summarises what is presently known about polar inland bacteriophages, ranging from subglacial Antarctic lakes to glacial ecosystems in the Arctic. The review examines interactions between bacteriophages and their hosts and the abiotic and biotic variables that influence these interactions in polar inland waters. In addition, we consider the proportion of the bacteria in Arctic and Antarctic lake and glacial waters that are lysogenic and visibly infected with viruses. 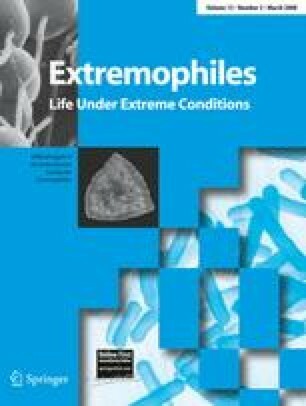 We assess the relevance of bacteriophages in the microbial loop in the extreme environments of Antarctic and Arctic inland waters with an emphasis on carbon cycling. The authors gratefully acknowledge the following funding bodies who have supported their data presented in this article: The Australian Antarctic Science Advisory Committee, Marie Curie European Science foundation, VR the Swedish Research Council, the US National Science Foundation (Grants MCB-0237335, OPP-432595 and OPP-440943), the Nuffield Foundation and the Leverhulme Trust. We are indebted to Lars-Anders Hansson for providing samples from the Beringia Area and to Rita Wallen, Gerry Nash and M. Young for help with TEM analyses. Thanks are due to two anonymous reviewers for valuable comments on an earlier draft of the manuscript.